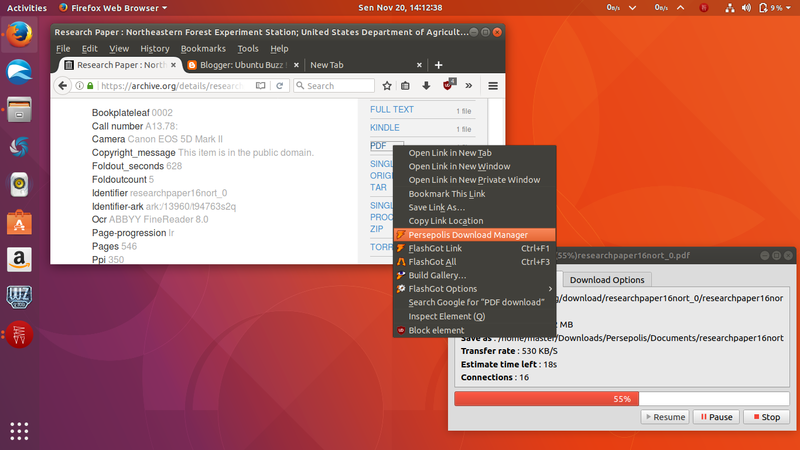 If previously you used IDM at Windows, you may looking for the best IDM replacement on Ubuntu, and finally that is PDM (Persepolis Download Manager). 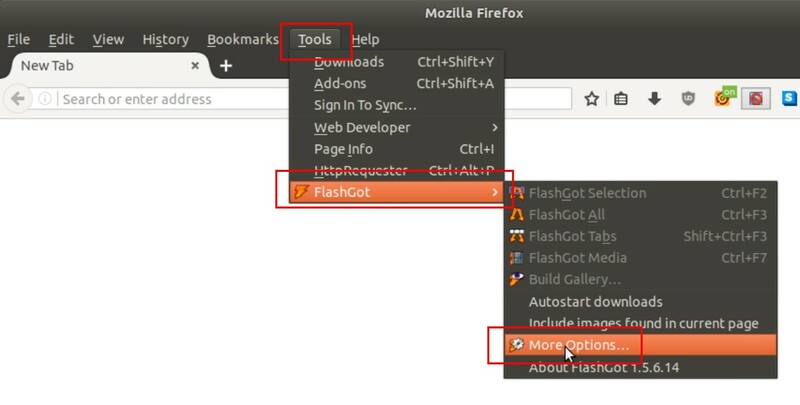 PDM is easy to integrate into Firefox by using FlashGot add-on. The final goal is to automatically download using PDM instead of web browser. This article shows the steps to do it on Ubuntu 17.10 "Artful Aardvark". 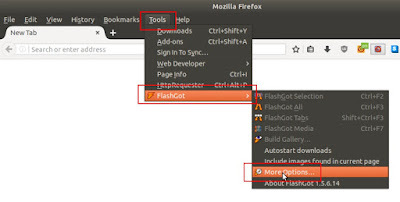 In Firefox: go to add-on installation page (press Ctrl+Shift+A) > find "flashgot" > FlashGot Mass Downloader found > press Install button > FlashGot installed > restart Firefox. In Firefox: go to menu Tools > FlashGot > More Options > you open a dialog "FlashGot Options" showing download manager choices. In "FlashGot Options" dialog: press Add button > enter the download manager name "Persepolis" > a new dialog "Locate executable file" showing. In "Locate" dialog: press Ctrl+L > enter this path /usr/bin/persepolis > press Open button > you go back to the dialog "FlashGot Options". 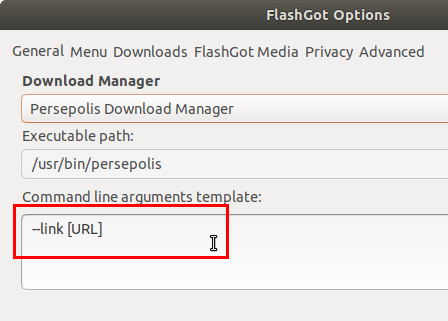 Back in "FlashGot Options" dialog: change the command line template to this: --link [URL] > press OK.
Now FlashGot is ready to make you always download using PDM. 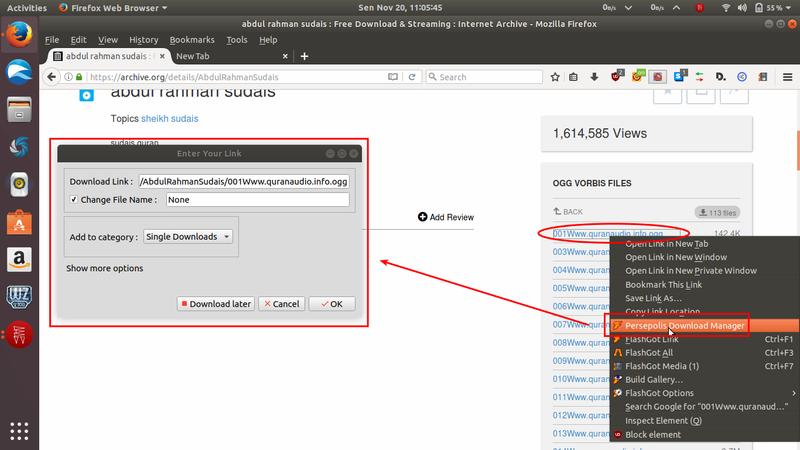 Right-click the link > select "Persepolis Download Manager" > the Persepolis dialog showing > press OK > the file being downloaded in Persepolis. That's the way to use PDM.